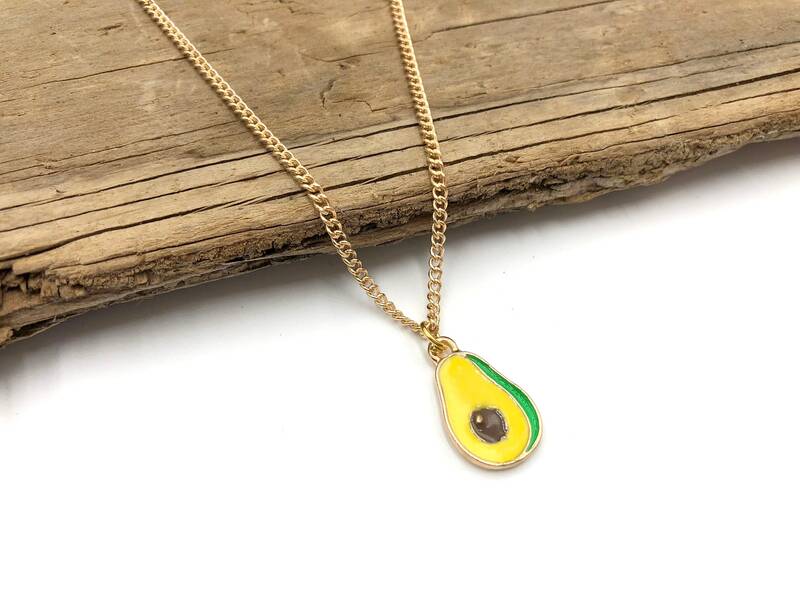 Show your love for the infamous avocado with this adorable necklace. Measures 13 inches with a 5 inch extender. Designed to lay at the collarbone. Lead and nickel free. Brass alloy metal.